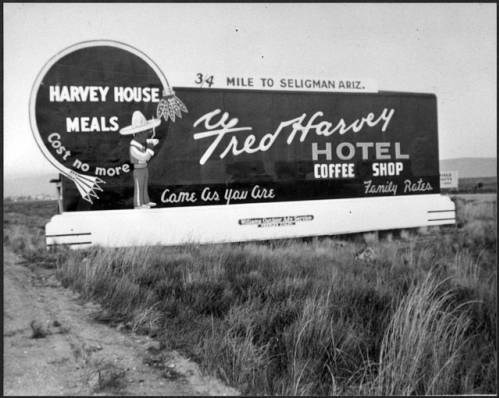 Born in 1835, Fred Harvey was an English immigrant that came to the US in 1852. After experiencing poor goods and service along railways while working as a postmaster, Harvey decided to enter the hospitality business. He struck a deal with the Santa Fe Railway and the first Harvey House, an eating house, was opened in Topeka, Kansas in 1876. After this first establishment proved a huge success, more and more Harvey Houses were opened along railways and Harvey became their main concessionaire. They eventually reached the southwest and the Grand Canyon. Harvey himself passed away from cancer in 1901 leaving the business to his son, Ford. The business was known for its impeccable attention to detail and incredible service. Fresh food and hot coffee were promised at every stop. The waitresses were perfectly dressed and trained for months to give proper service. The settings were laid with fine dishes and linens. Harvey was dubbed “Civilizer of the West”. 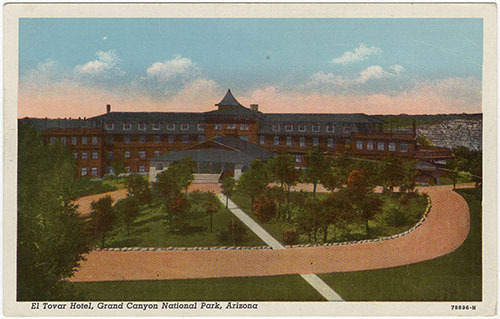 The Grand Canyon’s Harvey House, the El Tovar, opened in 1905. The Harvey company would send women to different establishments around the country and the El Tovar was a particularly favored spot - both for the views and the soldiers that stayed there. The business stayed in the family until 1968, where it was passed over to Xanterra, today’s concessioner. As railway patronage declined, the Harvey business branched out, focusing more on park houses, their Harvey Cars and their Indian Detours services. The AT&SF Railway gave Harvey all the necessary funds to provide the best service possible. They also opened dairy plants and supplied refrigerated cars to ensure that fresh food was always available at all of the eating houses. Service was fast - capable of feeding an entire train car within 30 minutes of arrival. The portions were large and the prices were affordable. 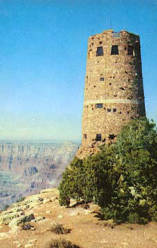 As visitation to the canyon increased, stakeholders in the canyon like Ford Harvey pushed for national park designation. The designation was achieved and the company became the main concessionaire the following year.